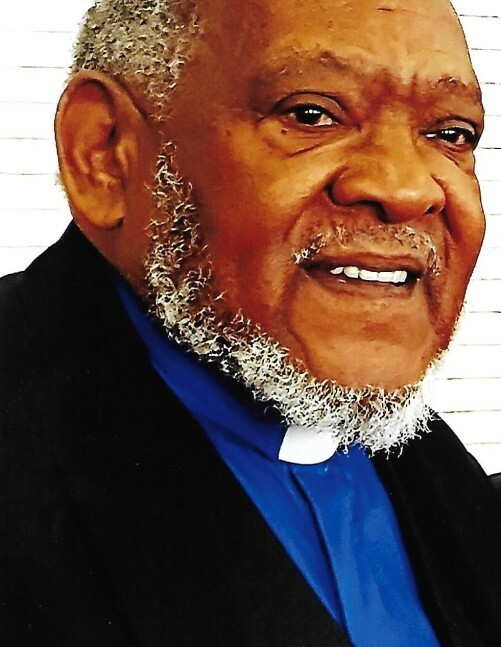 Reverend Dr. Frederick Dennis Hubbard was born in Shreveport, Louisiana on January 29, 1935 to the late Clotiel and George Hubbard and departed this life on March 26, 2019 . He accepted Christ at an early age. As a youth, Reverend Hubbard excelled in sports and graduated from Booker T Washington High School in 1952. Dr. Hubbard served in the United States Air Force from 1952 to 1957 and was stationed in Korea. Upon leaving the Air Force, Dr. Hubbard settled in Los Angeles where he would meet and marry Catherine Lester (deceased) . To this union was born a son, Frederick Dennis Jason Hubbard and two (2) daughters; Nailah Sharon Denise Hubbard and Mildred Mariah Hubbard. Dr. Hubbard was heavily involved in the Civil Rights movement during the 1960s and was a member of the Democratic National Committee where he worked on many campaigns to elect numerous African American candidates. He was elected to the Duarte Unified School District in 1972. He remained politically active until his passing. Dr. Hubbard earned a Bachelor of Arts from Washington School of Theology, Bachelor of Theology from St. Luke College of Religion and Psychology, Certifications in Gerontology and Public Administration from the University of Southern California and an Honorary Doctorate from Livingstone College in Salisbury, NC. Dr. Hubbard has served the African Methodist Episcopal Church since 1967 as a minister to God’s people when he was admitted into the Southwest Rocky Mountain Conference. He has pastored Shiloh A.M.E. Zion Church, Monrovia CA; Second A.M.E. Zion Church, Los Angeles, CA; Martin Temple A.M.E. Zion Church, Compton, CA; First A.M.E. Zion Church, San Jose, CA; University A.M.E. Zion Church; Palo Alto, CA., Mt. Pisgah AME Zion Church, Merced, CA and Varick Center A.M.E. Zion Church, Oakland, CA. Dr. Hubbard served under the following Bishops; The Right Reverends William A. Hilliard, George J. Leake III, Herman L. Anderson, George W.C. Walker, Sr., Clarence Carr, W. Darin Moore, and Staccato K. Powell. In 1998, he was appointed the Presiding Elder of the Bay Cities District of the California Conference of the Western Episcopal District by Bishop Clarence Carr. Dr. Hubbard served the San Francisco community for over 30 years and provided unwavering commitment to the Western Addition Senior Citizens’ Service Center, Inc.
(wife Chris), Eddie Johnson, Thomas Frazier, Rodney Earl (wife Valerie), Benito Brown, Bill Thomas. 5 nieces: Carol Miller (husband Tony), Yumiko Whitaker (husband Glenn), Alison Grey, Michelle Brown, Marvette White and the many grandnieces, grandnephews, ministers, friends and colleagues he has loved and known.